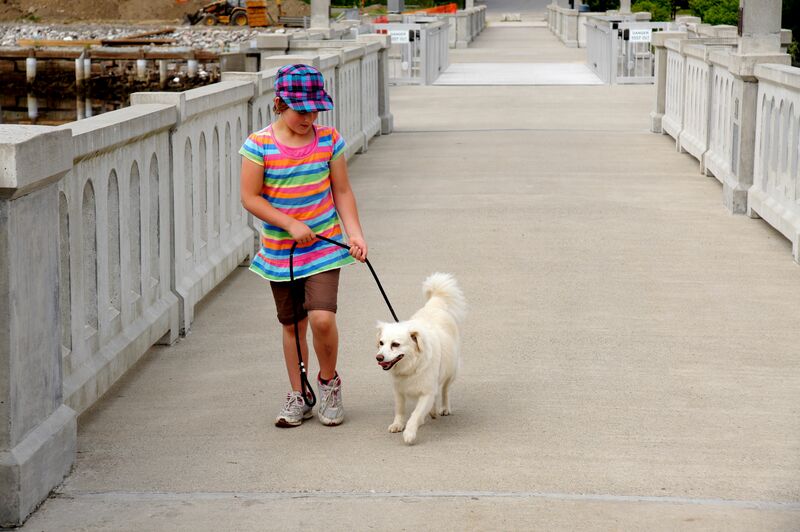 A Saturday morning walk across the footbridge with McKayla and Lucy | Where in the world are the Uricks??? 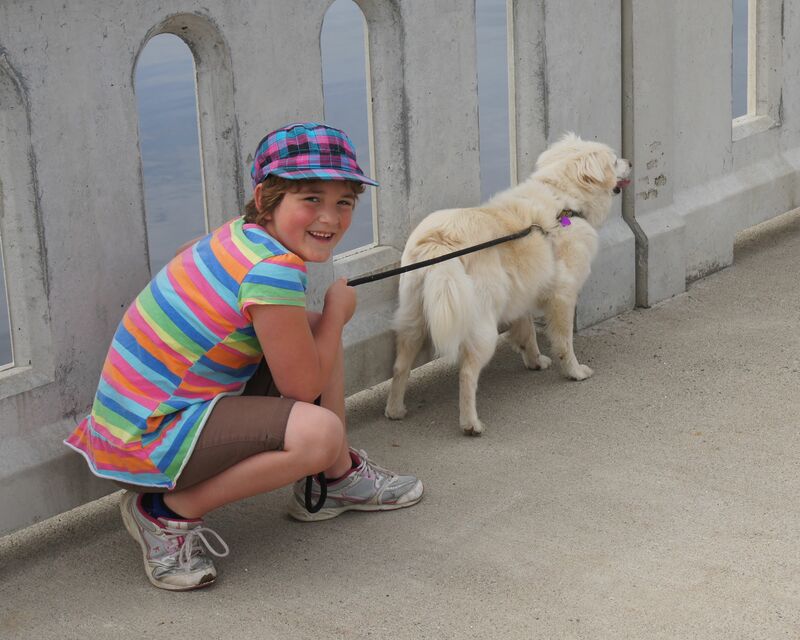 McKayla spent a couple of nights with us and this morning she and Lucy and I took a stroll across the footbridge …..
Lupines in bloom along the way … I pointed out to McK the scent of pepper! she absolutely agreed. 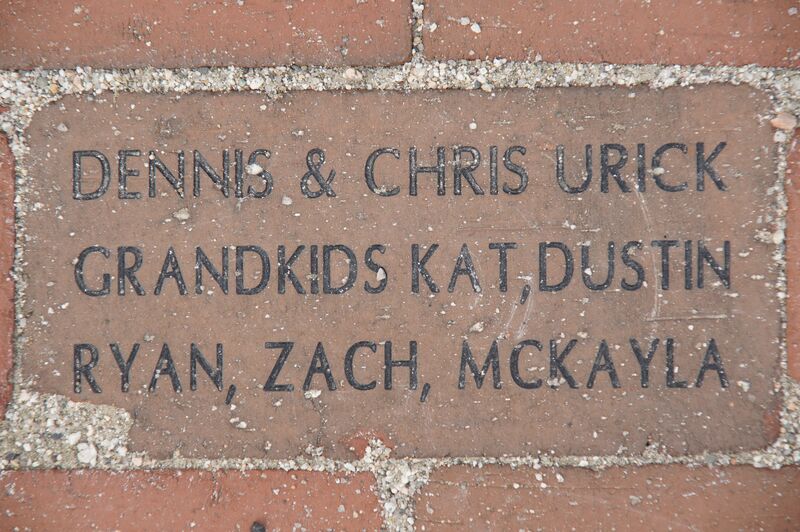 These bricks were sold as a fundraiser by the Footbridge Committee – probably not long after McKayla was born! 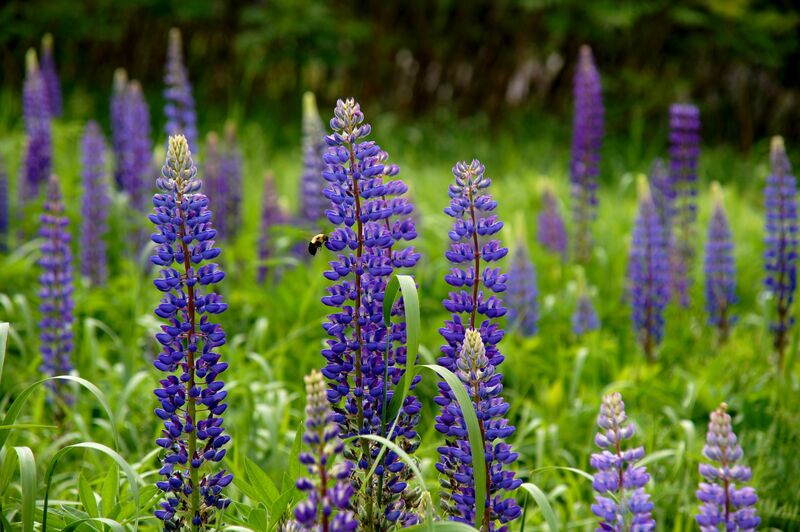 This entry was posted in Belfast, Maine, FAMILY & FRIENDS, USA. Bookmark the permalink.